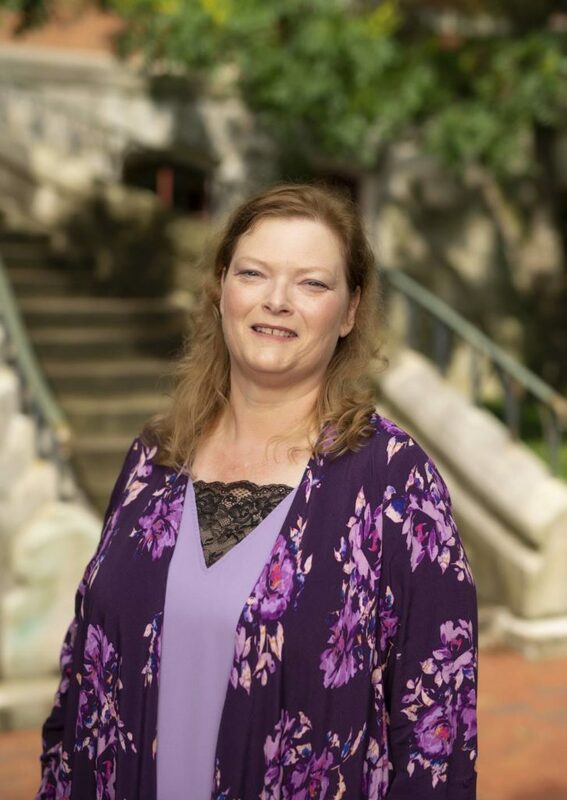 Heather earned her Masters of Science in Social Work from the University of Tennessee, a Council on Social Work Education (CSWE) accredited program. During her time in graduate school, she completed internships at Belmont University’s Counseling Center, as well as the Middle Tennessee Mental Health Institute. During her internships, Heather gained a variety of skills in two dramatically different environments. 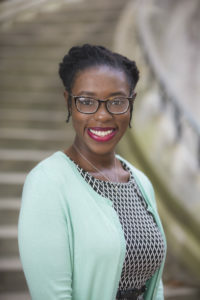 From working with indigent and acute populations at MTMHI, to serving in an outpatient college counseling center at Belmont, she has experience working with several different diagnoses, including acute psychosis, depression, anxiety, and transition issues commonly experienced among college students. Heather uses an eclectic approach for her work, inclusive of mindfulness approaches, different types of cognitive behavioral therapy, such as acceptance and commitment therapy, and dialectical behavioral therapy. Outside of work, Heather enjoys doing anything outdoors, especially hiking with her two dogs, Jelly and James, and gardening. She also enjoys spending time with friends, trying new things, and travelling. Dr. Bell earned her Ph.D. in Clinical Psychology from the University of Memphis. She completed a pre-doctoral internship at the University of Washington and a post-doctoral fellowship at St. Jude Children’s Research Hospital. She also holds a Master of Science in Clinical Investigation (MSCI) from Meharry Medical College. Dr. Bell is a Licensed Clinical Psychologist and has practiced in a variety of settings including outpatient mental health, primary care and medical specialty clinics, and governmental service. Dr. Bell has held faculty positions at Vanderbilt University Medical Center Department of Pediatrics and Meharry Medical College Departments of Pediatrics and Family Medicine. Before joining VUCC, Dr. Bell served as Psychology Director for the Tennessee Department of Children’s Services. Dr. Bell has developed a clinical expertise in the area of diagnostic assessment of neurodevelopmental disorders, including ADHD and Autism Spectrum Disorder. Outside of work, Dr. Bell enjoys creating new memories with family and friends and documenting those memories through photo life books and story quilts. Dr. Bell is a (former) marathoner who is currently enjoying all things little league! Dr. Bowen earned her Doctorate of Psychology (Psy.D.) at The George Washington University in 2016 and subsequently finished her postdoctoral training at Vanderbilt University Medical Center’s Psychological and Counseling Center. She currently provides individual and group psychotherapy and leads the Acute Care Team. Prior to this time, Dr. Bowen completed her internship at Southern Utah University’s Counseling and Psychological Services and provided psychotherapy services to adolescents and adults in a number of locations, including an inpatient setting, community mental health clinic, school, and university counseling center. She also has a Master of Arts in Sport and Performance Psychology from the University of Denver and double majored in psychology and history while completing her Bachelor of Arts from Grinnell College. Special areas of interest include identity and relationship concerns, mood disorders, trauma, group psychotherapy, and sport and performance. In her free time, Dr. Bowen enjoys running and catching the latest movies. 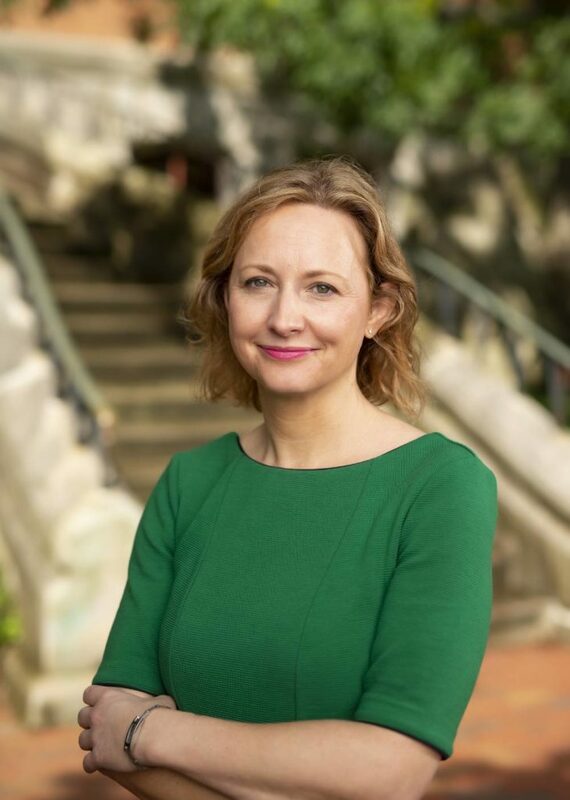 Dr. Champion received both her Masters and her Doctorate in Clinical Psychology from the University of Tennessee, Knoxville, and then completed her APA accredited predoctoral internship at the Cincinnati Veteran’s Affairs Medical Center. Dr. Champion is a licensed clinical psychologist. She worked at the Vanderbilt University Medical Center’s Psychological and Counseling Center from 2012 to 2018. She provides individual and group therapy for students, along with assessments for students with eating and body image concerns. She is also a clinical supervisor for trainees at various stages in training, including graduate practicum students, predoctoral interns, postdoctoral fellows, and allied professionals seeking licensure. Prior to coming to Vanderbilt, Dr. Champion worked for several years as a nested psychologist in various integrated primary care settings across Middle Tennessee, serving largely uninsured and underinsured populations. At the UCC she is a member of the Crisis Care team and the Eating Disorder team, co-coordinates the Practicum Training Program, and is a member of the Training Committee. She approaches care from primarily an eclectic and dynamically informed orientation. Outside of the UCC, Dr. Champion enjoys spending time with family and excels at procrastibaking. 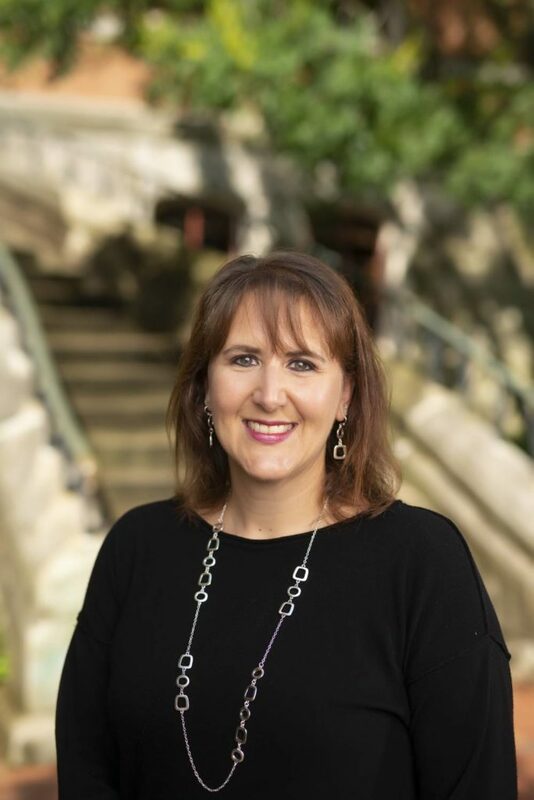 Dr. Conner received her Doctorate in Counseling Psychology from the University of Tennessee at Knoxville. Dr. Conner completed an APPIC-approved postdoctoral fellowship in the Division of Child and Adolescent Psychiatry at Vanderbilt University Medical Center. After her training, she engaged in clinical work as a Psychologist in the Department of Family and Community Medicine at Meharry Medical College and as the Clinical Director of Mental Health at Riverbend Maximum Security Institution, before joining VUCC. She previously held clinical faculty positions at both Meharry Medical College and Vanderbilt University Medical Center. Dr. Conner conceptualizes primarily through a biopsychosocial lens, but takes an integrative approach in her work with clients as she incorporates evidence-based treatment using clinical hypnosis, mindfulness, biofeedback, and cognitive-behavioral therapies. Her clinical interests include attachment and relationships, identity issues, obsessive-compulsive disorder, depression, and anxiety. 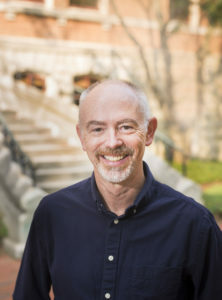 In addition to providing individual therapy to students, Dr. Conner also serves as the Team Leader for the Biofeedback Team, and co-member of the Training Committee at the Vanderbilt University Counseling Center. Outside of her work as a Psychologist, Dr. Conner enjoys running, exploring the ever-evolving culinary scene in Nashville, painting abstract art, and spending time with family and friends. Viviana is originally from Argentina; she completed her degree in Clinical Psychology at the National University of Rosario and provided services in a private practice setting. Before moving back to the U.S.A, she collaborated in an HIV-AIDS awareness and prevention project working with the local LGBT community. The outcome of this interdisciplinary effort was presented at the fourth annual HIV-AIDS International Conference. In December 1999, Viviana moved to California where she worked at the AIDS Services Foundation of Orange County and, in 2005, she moved with her husband to Nashville. Passionate to continue practicing as a psychotherapist, she returned to school and earned a Master in Arts Professional Counseling degree from Argosy University. 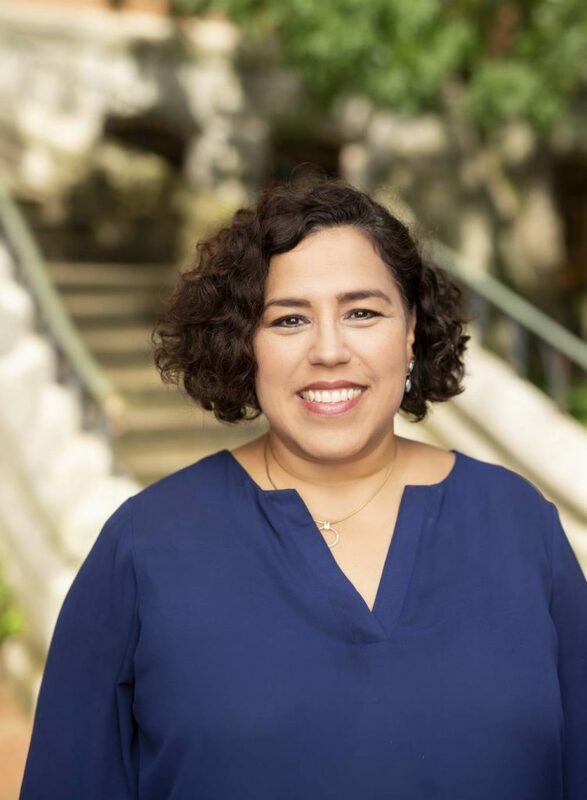 Viviana is a bilingual and bicultural mental health clinician, who has ample experience in treating those affected by trauma, stress-related problems, as well as mood and anxiety disorders. Viviana is trained in EMDR (Levels I & II), CBT, DBT, and is certified in Rapid Resolution Therapy; she utilizes an eclectic and integrated approach to help her clients regain control over their life. She focuses on her clients’ strengths and, in the context of their cultural and personal experiences, helps them reach their goals while maintaining mind, body and spiritual balance. Viviana likes traveling and learning from different cultures as well as baking and sharing her culinary creations. She values spending quality time with family and friends, enjoys nature and hiking with her husband and their two dogs. 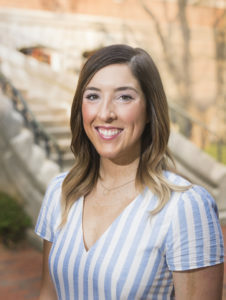 Dr. Hemmeger earned her Doctor of Pharmacy (PharmD) from Purdue University in 2014; consistent with her passion for lifelong learning, she later earned her Master of Science in Nursing (MSN) with a specialization in psychiatry from Vanderbilt University in 2018. As both a licensed pharmacist and psychiatric mental health nurse practitioner (PMHNP), Heather approaches patient care from a unique lens, strategically blending psychopharmacology with psychotherapy to optimize her clients’ health, happiness, and mind-body synchronicity. As a feminist and social justice warrior, Heather is committed to creating a safe, inclusive, and empowering space for all who enter her door. While she enjoys working with students of diverse cultural and clinical backgrounds, her specific areas of interest include treating unipolar and bipolar depression, generalized anxiety, gender dysphoria/LGBTQI+ related concerns, trauma, and first episode psychosis. For self-care, Heather enjoys practicing yoga and mindfulness, tending to her indoor house plants, traveling and photographing the world around her, and spending quality time with her husband, Alex, and fickle feline, Rory. Michael earned his associates of science from Tennessee State University, his bachelors of science in nursing from Cumberland State University, and is currently enrolled in a masters of nursing program for nursing informatics. He is an ANCC Board Certified Pyschiatric Mental Health Registered Nurse. Michael’s has over nine years of child, adolescent, and psychiatric nursing experience, and is particularly interested in nursing informatics. Michael enjoys outdoor activities, including hiking, camping, fishing, and attending local sporting and music events. 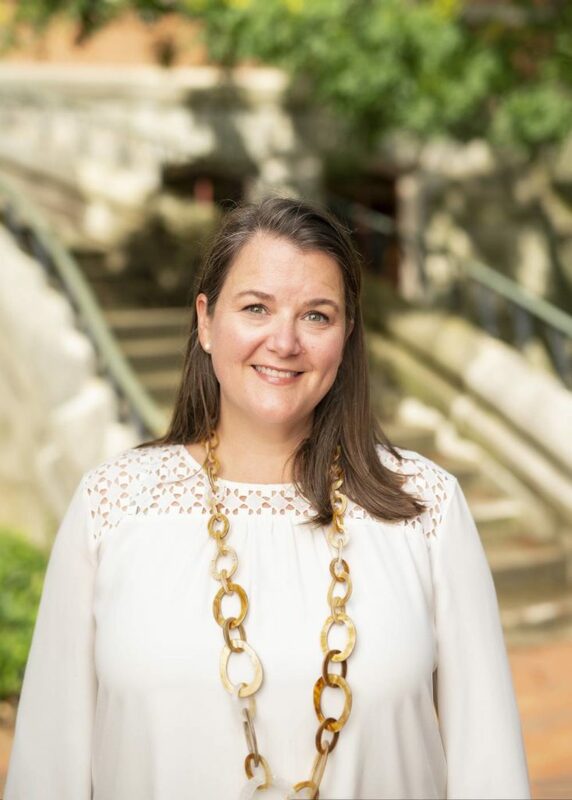 Dr.Kipper-Smith received her clinical psychology doctorate from Fielding Graduate University, completed her pre-doctoral internship at the Vanderbilt/VA Internship in Professional Psychology consortium, and post-doctoral training at the VU Counseling Center. Adriana began her career as a psychologist in Brazil, where she maintained a private practice for seven years before moving to the U.S. Being bicultural and bilingual, she is committed to promoting mental health, and passionate about diversity, cultural competence, feminism and social justice. In 2017 she served as the Interim Director of the Psychological and Counseling Center, and is currently the Clinical Director of the UCC. She has clinical expertise in short-term psychodynamic approaches, biofeedback, and mindfulness. When she is not at work, she loves traveling and exploring Tennessee’s trails and waterfalls with her son. Kim joined the Vanderbilt community in 2015 to earn her Master’s Degree in Human Development Counseling. During her time in graduate school, she worked at the Psychological and Counseling Center as well as completed an internship at the Integrative Life Center. At this internship, she provided individual and group therapy to adolescents and adults in recovery from substances, eating disorders, and other co-occurring disorders. Kim joined the UCC clinical team as a staff therapist in 2018, where she works as a member of the Eating Disorder team and the Alcohol and other Drug team. Kim approaches therapy through a person-centered and cognitive behavioral lens, and incorporates mindfulness and expressive techniques into her work. Kim’s clinical interests include developmental transitions, relationship concerns, trauma, substance use, and eating disorders. Outside of work, Kim enjoys spending her time at local animal shelters and exploring Nashville’s music scene. Kierra obtained her master’s degree in Counseling and Development with a concentration in Clinical Mental Health at Winthrop University in South Carolina. She was first introduced to the college population during her graduate practicum and internship experiences. Kierra has post graduate experience in a variety of settings including primary care, center for individuals with disabilities, and university counseling centers. Kierra enjoys working with students of various cultural backgrounds with a wide variety of clinical concerns. She has a specific interest in working to help individuals with concerns of anxiety, interpersonal conflicts, sexual identity, and depression. Kierra’s approach to treatment is collaborative and integrative, being informed by humanistic and person-centered theoretical approaches. She also enjoys the practice of mindfulness and often incorporates mindfulness techniques in her clinical work. Kierra has research experience in topics including multiculturalism and the intersectionality of racial and sexual identity. She is a member of the UCC Biofeedback and Outreach Team. In her free time, Kierra enjoys spending quality time with her poodle, performing arts, painting, live music, and cooking delicious vegan entrees. Peg did her graduate work at Vanderbilt Divinity School and the UT School of Social Work and completed both masters programs back-to-back. At the Divinity School, she pursued her passion of studying Feminist Theology, Black Liberation Theology and Liberation Theology from South America with a further emphasis in Pastoral Care. Her work at UT compelled her to continue with clinical work. 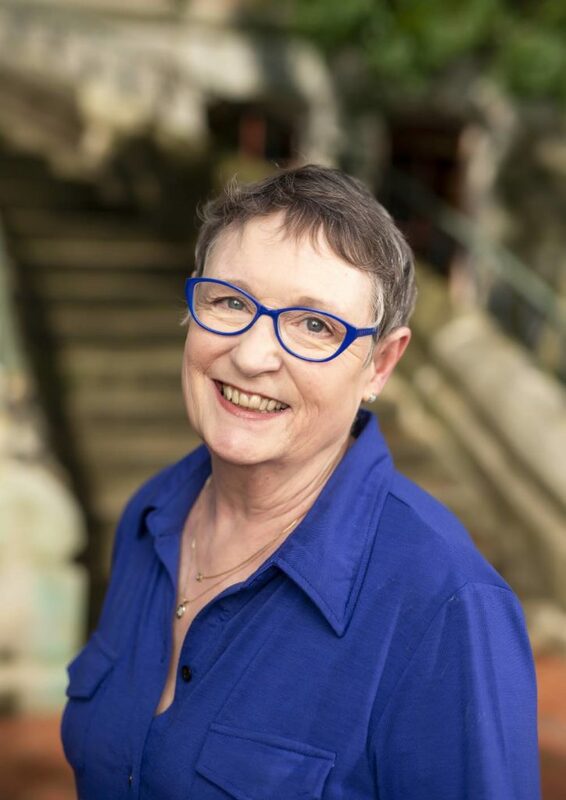 Peg was in the non-profit world for many years, during which time she earned her license, was intensively trained in all diagnostic categories, and did individual, couples and family therapy. A dedication to advocacy and social justice resulted in developing and implementing a number of mental health initiatives based in neighborhoods both in Nashville and across the state of Tennessee. In collaboration with the Metro Nashville Police Department, she developed a program that was chosen by Yale Child Study Center and the Department of Justice to become part of a national effort to serve children who are victims of, or witnesses to, violence in their homes, schools and neighborhoods. 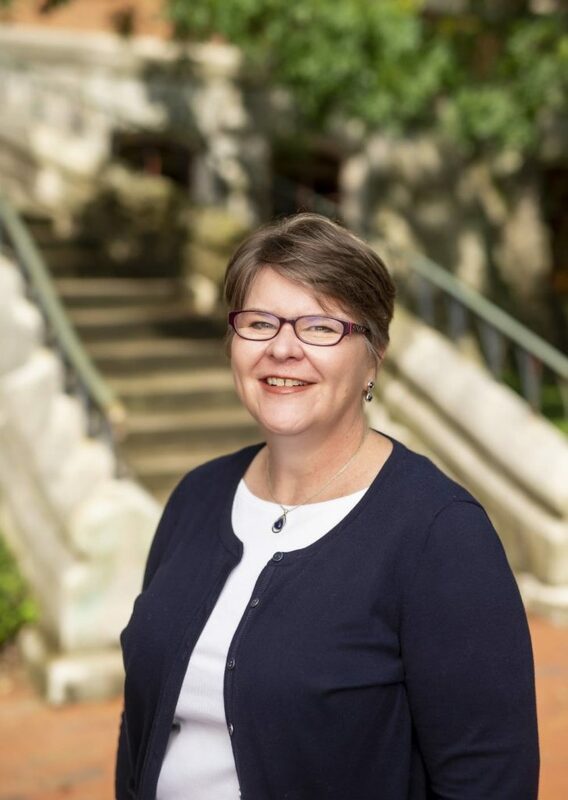 In 2006, Peg became the Director of Counseling Services at Belmont University, where she developed all of the initial protocols for best practice. After 11 years at Belmont, she came back to Vanderbilt where she started many years ago. Her clinical interests at this juncture involve treating anxiety and panic disorders, dysregulation, trauma, crisis intervention, and grief. She is trained in EMDR and is especially interested in mindfulness based practices and self-compassion. Peg is on the Crisis Team, Biofeedback Team and part of the Supervisory training team at the UCC. Outside of work, she likes to do all forms of yard work, especially designing new garden spaces with her husband. She also enjoys swimming, hiking and relishing reunions with her grown sons and their partners. Kyle received his Masters of Education in Clinical and Mental Health Counseling from Vanderbilt University in May of 2017. During his education, Kyle worked at an agency with a primary focus on chronic and severe mental illness as well as crisis management, and he is a Certified Psychiatric Rehabilitation Practitioner (CPRP). Kyle has worked as a Primary Therapist for a residential treatment facility, where he specialized in individuals recovering from co-occurring mental health and substance use diagnoses. Kyle enjoys working with those who are struggling with shame/guilt, depression, trauma, dysfunctional family dynamics – including adult children of alcoholics, transition-related difficulties, and substance use, as well as athletes throughout their careers. Kyle has played sports through most of his life and can relate to the challenges of balancing a demanding sports career with school, work, and personal relationships. Kyle’s therapeutic approach is humanistic, while also integrating cognitive-behavioral therapy, and psychodynamic and mindfulness approaches. Outside of work, Kyle enjoys lifting weights, hiking, movies, and hanging with his dog, Zeus. Dr. Niarhos received her Doctorate in Psychology from the University of Miami, FL, and completed her internship at the Vanderbilt/VA Internship in Professional Psychology consortium. Her passion lies in teaching and mentoring trainees across all mental health disciplines as they prepare for professional roles as psychologists, clinical social workers and professional counselors. Her clinical interests include psychological assessment of learning and neurodevelopmental disorders, including ADHD and Autism Spectrum Disorder, and other mental health disorders commonly affecting young adults. Dr. Niarhos worked at the Vanderbilt University Medical Center’s Psychological and Counseling Center from 2012 to 2018, acting as the Training Director in 2017. 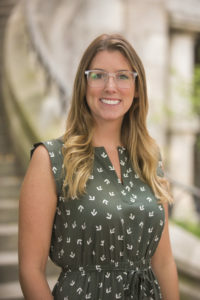 Prior to joining the Psychological and Counseling Center, she worked for eight years at Vanderbilt Children’s Hospital, where she engaged in research and clinical work aimed at identifying and addressing the neurocognitive late effects of childhood cancer. When she is not working, Dr. Niarhos enjoys yoga, hiking and exploring Tennessee rivers by canoe. She values diverse worldviews and remains committed to broadening her own cultural awareness. Kate obtained her Bachelor of Science degree in nursing from East Tennessee State University. After working as a Registered Nurse in community mental health, she desired to have a larger role in the treatment of her patients, which led to pursuing and obtaining her Master of Science degree in nursing from the University of Tennessee, Knoxville. She has worked with an array of diagnoses within mental health, but her passion lies in both education and holistic patient care, regardless of the diagnosis. Her clinical interests include adolescent psychiatry, co-occurring mental health and substance use diagnoses, and bipolar disorders. She greatly enjoys spending time outside with her pups, and if she is not at the dog park, you are likely to find her lifting weights or planning her next vacation. Brian earned his undergraduate degree from the University of Pennsylvania, and both his Master of Science (M.S.N.) in Nursing and Doctor of Nursing Practice (D.N.P.) at Vanderbilt University. Brian was a staff member of the Vanderbilt University Medical Center’s Psychological and Counseling Center from 2013 to 2018. His clinical interests include mood and anxiety disorders. He enjoys spending time with family and hiking. Kelsey earned her Master of Education (M.Ed.) in Counseling and Human Development from Lindsey Wilson College in 2013 and used that educational foundation as she worked abroad in East Africa. She returned to the states to broaden her knowledge as she earned her Master of Science in Nursing (MSN) with a specialization in psychiatry from Vanderbilt University in 2018. Kelsey combines these two educational backgrounds to provide comprehensive care including supportive psychotherapy and psychopharmacology. Kelsey is passionate about social justice and equality; learning about the cultural underpinnings that comprise each unique identity; and reducing the stigma of mental illnesses. Her clinical interests include mood disorders, anxiety disorders, trauma, and psychotic disorders and she is committed to providing a safe, inclusive space for all. In her spare time, Kelsey enjoys traveling, running, hiking, and exploring local parks with her husband, daughter, and son. Dr. Porter earned her Doctor of Psychology (Psy.D) Degree in Clinical Psychology from Roosevelt University in Chicago, Illinois with an emphasis in Child and Family Studies, after having completed her Doctoral Internship at Meharry Medical College. She also earned her Master of Arts Degree from Roosevelt University and Bachelor of Science Degree from Illinois State University with a double major in Psychology and Sociology. Dr. Porter has engaged in clinical work in a multiple of areas, including college counseling, community mental health, inpatient hospitals, intensive outpatient programs, juvenile detention center, and forensic evaluations. She worked at the Vanderbilt University Medical Center’s Psychological and Counseling Center from 2012 to 2018. At Vanderbilt, she has found her areas of focus to be crisis assistance, trauma, depression, anxiety, adjustment issues, and working with the LGBQTI+ population. At the UCC, Dr. Porter is the Team Lead for Crisis Care, co-member of the Practicum Coordination, and member of the Training Committee. Dr. Porter approaches treatment from an integrative conceptualization, with a focus on acceptance and commitment therapy and cognitive behavioral therapy. In addition, Dr. Porter is trained in EMDR and biofeedback. Dr. Rajpura (Dr. Raj as he goes by) earned his medical degree from the Gujarat University, Ahmedabad, India. He completed his adult psychiatry residency from Meharry Medical College and fellowship from Emory University School of Medicine. In past, he served as medical director on inpatient psychiatric unit and also has private practice of adult psychiatry. Dr. Raj is board certified in adult and geriatric psychiatry. His clinical interests include mood disorder, anxiety disorders, and psychotic disorders. He enjoys spending time with family, reading, gardening and social activities with friends and volunteering for community. Dr. Scott earned her Doctorate of Philosophy in Counseling Psychology from The University of Georgia. She completed her Pre-Doctoral Psychology Internship at The University of North Carolina at Chapel Hill, Counseling and Psychological Services. Dr. Scott has gained clinical experience in various settings, including supporting older adults with cognitive impairment within a hospital setting, in addition to serving adjudicated youth within the juvenile justice system. However, Dr. Scott’s passions lie with empowering undergraduate, graduate, and professional students, as well as postdoctoral scholars, in reclaiming their emotional, psychological, and energetic well-being, within the university counseling center setting. 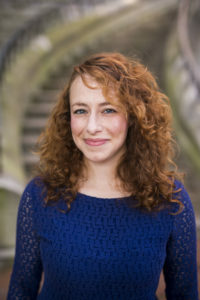 As a clinician, Dr. Scott is integrative in her therapeutic approach, primarily utilizing cognitive-behavioral and relational techniques, within a multicultural and feminist framework. 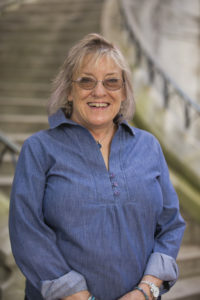 Her clinical interests include trauma, interpersonal and relationship violence, grief, family-of-origin concerns, identity exploration and development, navigating transitions, and self-esteem concerns. As a social justice warrior and outreach advocate, she prides herself on collaborating with students, colleagues, and campus partners, to uplift the freedom, affirmation, and celebration of all diverse identities. Dr. Scott’s self-care and self-love strategies include spending time with her family and loved ones, Zumba, reading fiction novels, practicing mindfulness and meditation, watching movies, and cooking. Johanna graduated from UT-Knoxville with degrees in English and Human Services. She also obtained a Master’s of Social Work Science from UT-K, with an emphasis on treatment. 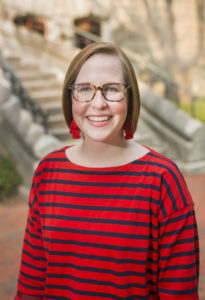 She more recently obtained a Master’s in Pastoral Studies from Loyola University New Orleans, which reflects her deep interest in spirituality.Johanna worked at Vanderbilt University Medical Center’s Psychological and Counseling Center from 2007 to 2018. She focuses her clinical work on therapy with graduate students and grief-related cases. Her areas of interest include treating anxiety, depression, grief, theological/spiritual distress, and family of origin issues. Johanna has also supervised a number of practicum students, and staff who are seeking licensure. She really enjoys mentoring staff formally as well as informally. Previously, Johanna also worked in a large private practice setting for 13 years. She has also worked at four inpatient facilities in Nashville with patients ranging from middle schoolers to elders. Johanna really enjoys spending time with family and friends, reading and discussing books, gardening, sports, and all animals, especially her most excellent kitty, Pepper. Kyle earned his Master of Science in Social Work in May of 2015 from the University of Tennessee, Knoxville. Kyle is most versed in implementing the therapeutic modalities of Cognitive Behavioral Therapy, Solutions-Focused Therapy, Mindfulness, and Motivational Interviewing. Kyle enjoys working with clients struggling with depression, anxiety, life-transition stress, relationships, and gender/sexual identity concerns. One of Kyle’s most prominent professional passions is working with LGBTQIA+ populations. 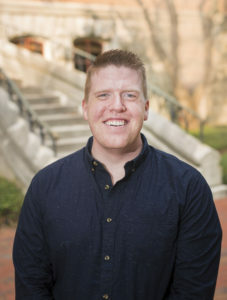 Kyle worked at Vanderbilt University Medical Center’s Psychological and Counseling center from 2017-2018. Kyle proudly serves as the UCC LGBTQIA+ liaison to the University. He feels that being a member of the LGBTQIA+ community, and having the lived experience of growing up in the South, gives him a unique ability to relate to and work with fellow LGBTQIA+ individuals. 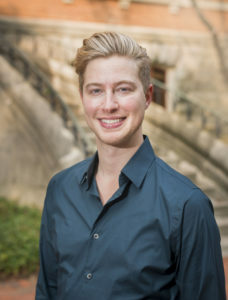 In addition to individual therapy, Kyle also co-facilitates the Continuum (LGBTQIA+) therapy group and co-facilitates DBT skills therapy groups. Kyle is a member of the UCC DBT Team and Diversity Committee. Kyle is accruing clinical hours to work towards receiving the full clinical licensure of Licensed Clinical Social Worker(LCSW). Outside of work, Kyle is very active in the local LGBTQIA+ community, and also enjoys spending time with friends, cooking, reading, playing video games, and lounging with his cat, Leo. After receiving a BA in Chemistry from Ole Miss, Dr. Smith attended medical school at Vanderbilt University. He then completed psychiatric training at the University of Pittsburgh leading to board certification in Adult Psychiatry and in Child and Adolescent Psychiatry. 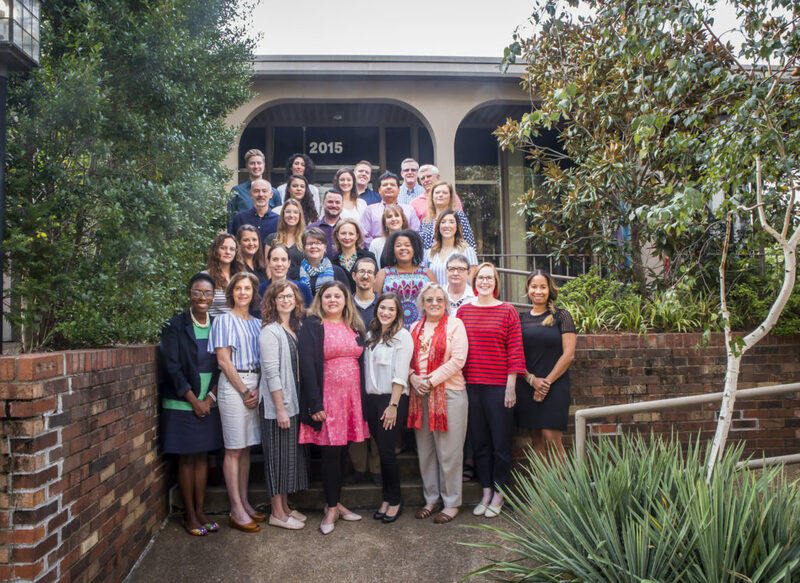 Dr. Smith worked with students at the University of Tennessee, Knoxville for 26 years before coming to Vanderbilt University Counseling Center this fall. Dr. Smith enjoys working with the young adults with various mental health needs. Outside of work his hobbies including gardening, travel and foreign languages. 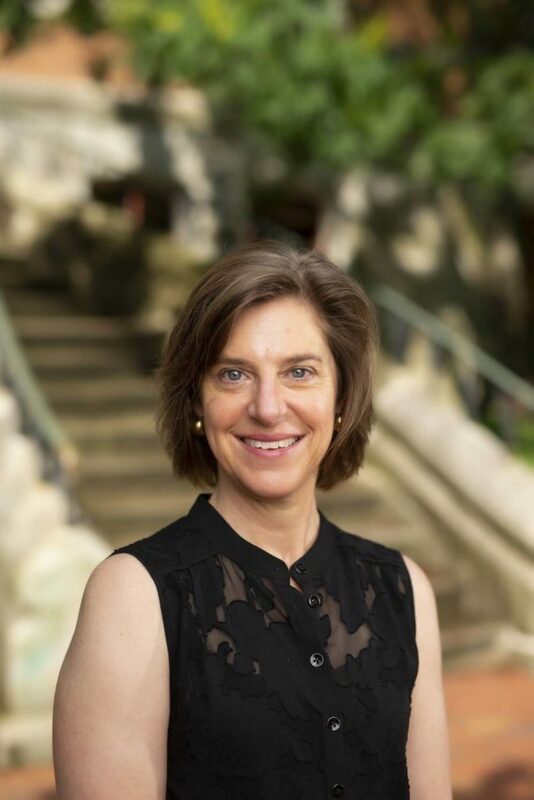 Dr. Weinman is the inaugural Director of Vanderbilt’s University Counseling Center (UCC). He is dedicated to creating a safe, welcoming environment for all students who attend Vanderbilt University. 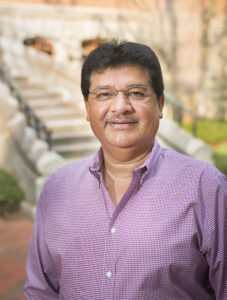 He is strongly committed to social justice and to breaking down barriers for seeking help, especially for those students who may otherwise be hesitant to seek professional support or who are experiencing oppression or marginalization related to their unique identities. 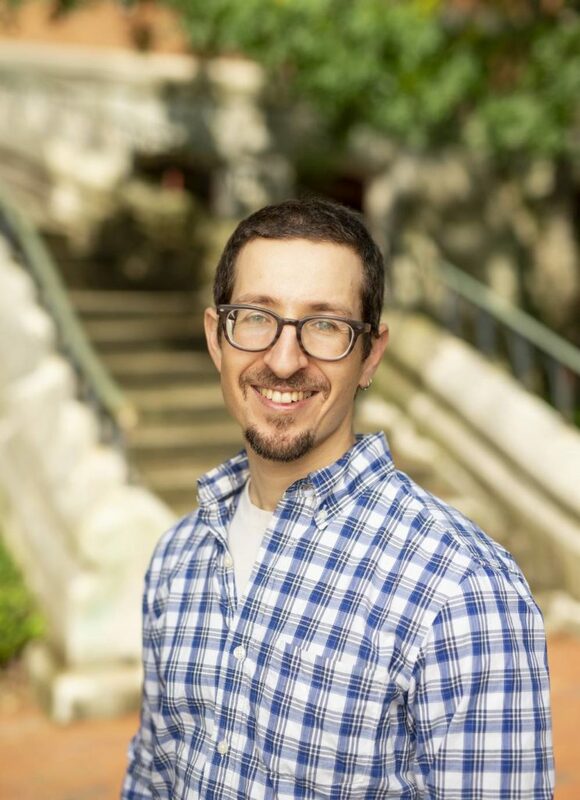 In addition to extensive experience working directly with college students in a clinical capacity, Dr. Weinman has over 20 years in counseling center administration and leadership. Todd received his undergraduate degree from the University of Virginia and his Doctorate in Clinical Psychology from Widener University. 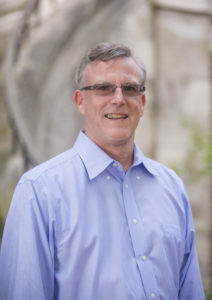 Prior to coming to Vanderbilt, he worked as the Director of Counseling and Psychological Services at the University of Vermont and previously held leadership positions at Montclair State University and SUNY at Buffalo. 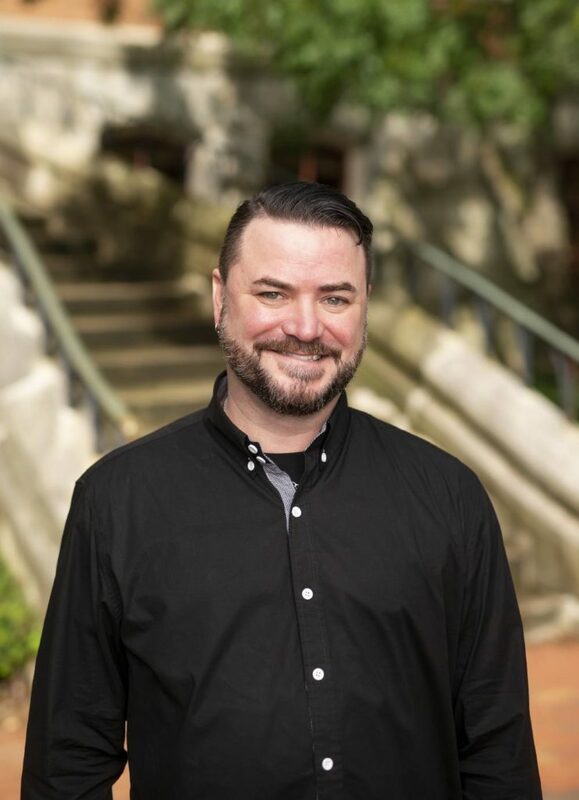 Todd’s professional and clinical interests include: leadership and management in college health; training and supervision, diversity and social justice; brief counseling approaches; male identity and healthy masculinity; and Positive Psychology. In his free time Dr. Weinman enjoys playing and watching any and all sports, traveling to places near and far, and exploring Nashville’s incredible food and music scene. Dr. Wilson earned both her her Master’s degree and Ph.D. in Clinical Child Psychology from the University of Kansas after completing an APA accredited internship focused on Multicultural Counseling at the University of New Mexico Children’s Psychiatric Hospital. Dr. Wilson has worked in a variety of clinical settings including inpatient hospitals, outpatient clinics, school systems, private practice, and juvenile facilities providing both individual and family therapy to children, adolescents, and adults. She worked at the Vanderbilt University Medical Center’s Psychological and Counseling Center from 2011 to 2018. At the UCC, she provides both individual and group therapy. She is also a clinical supervisor for graduate students training to be therapists and is a member of the DBT Team. Dr. Wilson approaches therapy from an integrative perspective, striving to be culturally responsive to all students. She primarily utilizes both cognitive behavioral therapy and dialectical behavioral therapy in combination with interpersonal techniques. Her clinical interests include issues of diversity, identity development, working with first-generation students, individuation, depression, and anxiety. Aside from her work at the UCC, Dr. Wilson enjoys spending time with family, watching musical theater, and listening to music. Kay was raised in Louisiana and attended Northwestern State University majoring in Art & Education before relocating to Nashville. Kay obtained a degree in Medical Billing & Coding, HIPPA, and Medical Terminology from Volunteer State University. Before joining the UCC, she worked at a community mental health center. Kay enjoys spending time with her family and pets, and cooking with her granddaughter. Ali Graham grew up in Nashville, TN. She received a psychology degree from Saint Louis University. Upon graduation, Ali worked for Americorps at Fort Belknap reservation promoting retention among first generation, first year college students and teaching Native American culture. She then spent two years at St. Luke’s Community House managing the mobile meals program for senior citizens. Ali enjoys reading, photography, nature, and her dog. Kriste graduated with a teaching degree from Eastern Oregon College and taught school in Enterprise, Oregon. Kriste then joined Parklane Northwest in Portland, Oregon as a Regional Manager for ten years. She served at the Vanderbilt University Medical Center’s Psychological and Counseling Center from 1990 to 2018. She acts as the Administrative Manager and Financial Unit Manager at the UCC. Kriste enjoys dog training and playing canine fly ball with her two dogs. Lynn moved to Nashville in 1986 to attend Belmont University, where she majored in Music Business. Upon graduation, she worked as the Director of Royalty Administration for a Copyright Management Company. She continued her music industry trek as an administrator for Benson Music Group’s Record and Publishing divisions. She also worked at Starstruck Writers Group as a Copyright Administrator before leaving the music industry to raise a family. Lynn worked at the Vanderbilt University Medical Center’s Psychological and Counseling Center from 2014-2018. She has also spent time in Uganda, Africa serving as a missionary. Outside the UCC, Lynn enjoys dancing in the kitchen with her kids to music of all genres and gathering friends and family around the dinner table. Jillian joins the UCC’s clinical team as she completes her Master of Science in Social Work degree through the Nashville campus of the University of Tennessee, Knoxville. She received a B.A. in Biology from DePauw University in 2014, and her Master of Public Health degree from Vanderbilt University School of Medicine in 2016. As an MPH student, Jillian’s research focused on Adverse Childhood Experiences and their long-term impacts on health and wellness. She completed MPH practicum experiences with both the Tennessee Department of Children’s Services and Onsite Workshops, a therapeutic treatment and recovery center outside of Nashville. From 2016-2018, Jillian worked as a Mental Health Specialist at Vanderbilt Psychiatric Hospital, where she led psychoeducational groups, provided individual and milieu counseling, and performed crisis interventions for patients with an array of acute mental health concerns. Jillian completed her first MSW internship with a local charter school during the 2017-2018 schoolyear, where she provided individual and group counseling for middle and high school-aged students. As a Registered Yoga Teacher (RYT) through Yoga Alliance®, Jillian also has experience leading trauma-informed yoga in various psychiatric and behavioral health settings, and enjoys incorporating mindfulness and movement-based therapies into her work with clients. Jillian has an integrative and eclectic approach to care, incorporating elements of CBT, humanistic theory, Motivational Interviewing, and mindfulness into her therapeutic work. Her clinical interests include trauma, anxiety, depression, substance use, interpersonal issues, eating disorders, adjustment concerns, and student-athlete mental health. 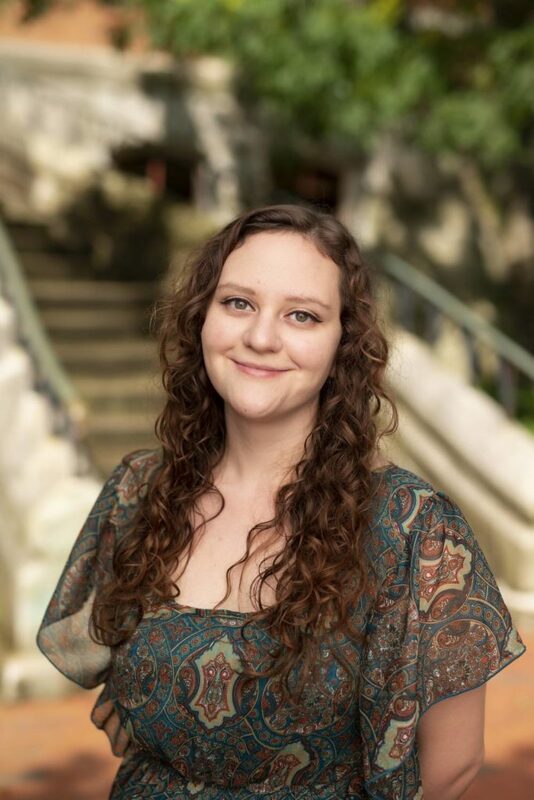 Jillian is in the Trauma Treatment Graduate Certificate Program through UT College of Social Work, and has a rich educational and experiential background in trauma-informed care. Shabnam is a doctoral intern at the Vanderbilt University Counseling Center and is currently finishing her Ph.D. in Counseling Psychology at Tennessee State University. She has previously worked with diverse populations at counseling centers, community mental health agencies, a psychological assessment center, and in school-based therapy. Shabnam approaches therapy through a culturally-focused lens while grounding her work in interpersonal theory to identify relational patterns and interactions impacting the human experience and identity. She is client-centered and aims to individualize therapy to meet her clients’ needs. She specializes in multicultural competency training in mental health. Shabnam identifies as a bicultural, immigrant American and has worked extensively with the immigrant and refugee communities in group and individual therapy as well as social advocacy. Her clinical interests include adjustment difficulties, depression and anxiety, relationships, academic stress, self-esteem, trauma, psychophysiology, identity development, and cultural development of individuals. Erin Carney is a third-year counseling psychology doctoral student. She has an undergraduate degree in neuroscience from the University of Michigan and a Master’s degree in psychological science from Western Kentucky University. 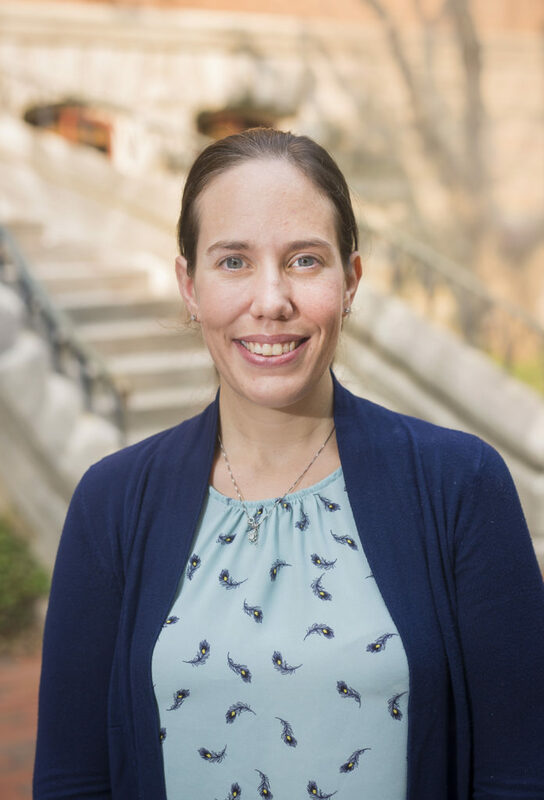 Erin’s clinical and research interests are in trauma and suicide prevention, and she has had the privilege to work with a variety of populations, including adolescents, suicide attempt survivors, and military veterans. When it comes to therapy, Erin uses a strengths-based, holistic, and humanistic approach that draws upon interventions from Acceptance and Commitment Therapy and Cognitive-Behavioral Therapy. Ultimately she values humility and a sense of humor with her clients. In her spare time, Erin enjoys trail running, rock climbing, exploring Nashville’s music scene, and spending time at home with her family, including her two dogs, Sammy and Delilah. Dr. Dattilo earned her Doctorate in Clinical-Community Psychology from The University of South Carolina and completed her doctoral internship with the Vanderbilt University-Department of Veterans Affairs Clinical Psychology Training Program. She also earned undergraduate degrees in Psychology and Sociology from The University of Georgia. She has worked in a variety of clinical settings, including university counseling centers, community mental health, private practice, VA hospitals, and an inpatient substance use treatment center. She currently provides individual and group therapy, and her areas of clinical and research interest include ADHD, assessment, identity and interpersonal concerns, and trauma, as well as training, supervision, and teaching. In her clinical work, Dr. Dattilo uses an intersectional framework to integrate evidence-based theory and practice from a variety of orientations, including ACT, interpersonal therapy, Community Psychology, feminist theory, and cognitive behavioral therapy. In addition to her work as a Psychologist, she is passionate about yoga, Georgia football, sustainable agriculture, cooking, traveling, and her cat. LaToya is a doctoral intern at Vanderbilt University’s Counseling Center and is a doctoral candidate in Counseling Psychology at Tennessee State University. LaToya has clinical experience in university counseling center and private practice settings, working with diverse client populations. She approaches her therapy work primarily through a lens of cognitive-behavioral theory and utilizes CBT, ACT, and mindfulness techniques. LaToya’s interests include issues related to anxiety, depression, self-esteem, body image, eating disorders, stigma, and relationships. 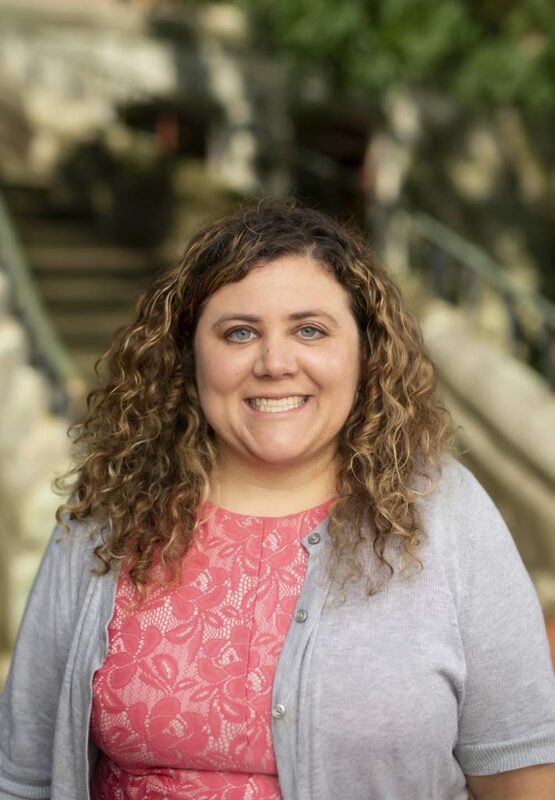 Beth is a doctoral intern at the Vanderbilt University Counseling Center and is currently pursuing her Ph.D. in Counseling Psychology at the University of Missouri. She has previously worked with diverse populations at university counseling centers, a neurodevelopmental disorders assessment clinic, a career counseling center, a HIV/AIDS integrative care clinic in Rwanda, and delivered trauma focused services with children and adolescents in foster care. She has also worked extensively with international students in student affairs and student visa advising roles. Beth’s theoretical orientation is an integrative approach that incorporates psychodynamic, interpersonal, and skills based orientations, like CBT and DBT, through a multicultural lens. Her clinical interests include trauma, interpersonal concerns, adjustment and identity issues, substance use, ADHD and learning disorders, as well as depression and other mood concerns. Rheanna is a practicum student at the UCC and is currently a doctoral candidate in Counseling Psychology at Tennessee State University. She earned her master’s degree in Marriage and Family Counseling at Gonzaga University. Her clinical experiences have been broad, working with diverse populations in a community mental health agency, a private practice specializing in neuropsychological assessment and QEEG-informed care, and on college campuses in counseling centers and student wellness offices. Rheanna approaches therapy from a culturally inclusive, holistic lens while grounding her work in the interpersonal and emotion-focused approaches in order to identify patterns impacting overall wellbeing. Her clinical interests include romantic relationship concerns, attachment issues, identity development, adjustment concerns, ADHD and other neurodevelopment disorders, as well as anxiety and other mood concerns. 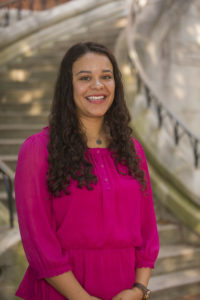 Shelby Reyes joined the University Counseling Center as a Postdoctoral Fellow in September 2018. 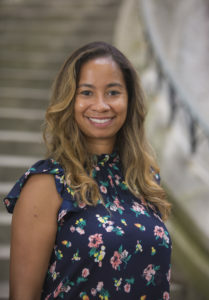 She received her Ph.D. from the University of Tennessee, Knoxville’s APA-accredited Counseling Psychology program and completed her internship at the Vanderbilt/VA Internship in Professional Psychology consortium. She currently provides individual and group psychotherapy, psychological assessment, and serves on the DBT team and Diversity Committee. 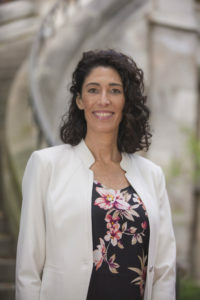 Dr. Reyes utilizes therapeutic perspectives from acceptance and commitment therapy, dialectical behavioral therapy, and interpersonal approaches, concurrently tailoring her treatment to the unique needs of each individual. Her clinical interests include identity and relationship concerns, mood disorders, trauma, multicultural issues, and other mental health disorders commonly affecting young adults. She is also able to provide hypnosis for a variety of concerns (i.e., phobias, pain, trauma). When outside the office, she enjoys exploring all the wonders Nashville has to offer in music, art, and food…especially food. If not enjoying patio time with friends, she can be found spending quality time with her family (including 2 adorable cats) and trying out a new recipe for dinner. Stephanie is a practicum student at the Vanderbilt University Counseling Center and is currently a M.Ed. candidate in the Human Development Counseling Program, Clinical Mental Health Counseling track at Vanderbilt University. She has previous experience working within the psychiatry department for Uniformed Services University of the Health Sciences, focusing on Traumatic Stress with military members and their families. 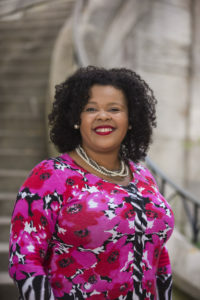 She also has experience working within the foster care system, and working with diverse client populations within a university counseling center and hospital setting. 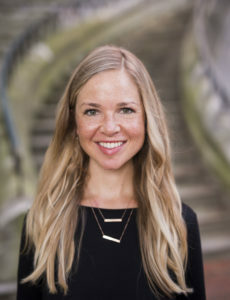 Stephanie believes in an integrative and collaborative approach to therapy with a person-centered and cognitive behavioral lens, incorporating multiculturalism and mindfulness techniques. Stephanie enjoys working with clients with a wide variety of experiences and concerns. Some of her clinical interests include life transitions, health and body image concerns, relationship stressors, identity exploration and self-growth, trauma, anxiety, and depression. Outside of her work at the UCC, Stephanie enjoys spending time with friends and family, exploring Nashville, hiking, reading, drawing, and traveling.